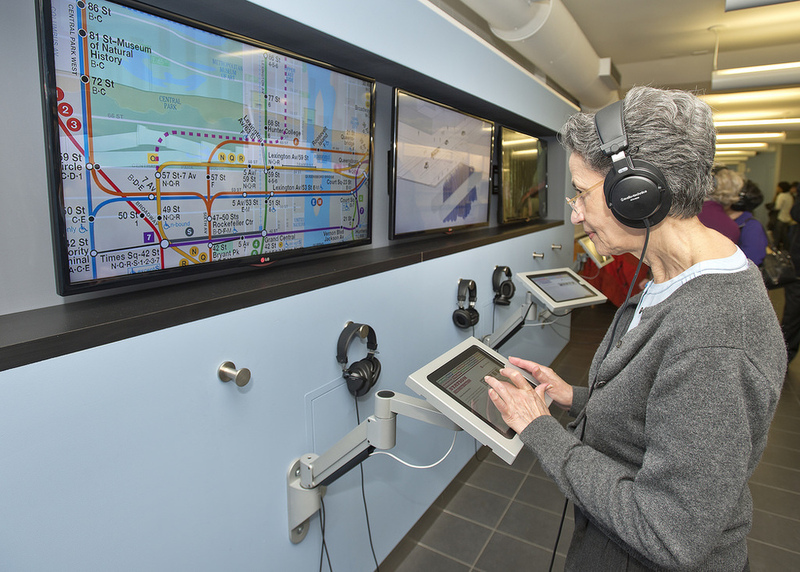 Here's news for engineering geeks to the NY-resident curious when they'll be able to ride the new line: the Second Avenue Subway Community Information Center has opened a new exhibit, En Route: The Techniques and Technologies Used to Build the Second Avenue Subway. The exhibit is free and open to the public on Mondays, Wednesdays and Fridays from 10 AM to 6 PM, Tuesday and Thursdays from noon to 8 PM and the second Saturday of every month from 11 AM to 3 PM. I've gawked at photos of the construction site online, in awe of the sheer size of the tunnel in its current state. Then I think how did workers construct the system over 100 years ago with less sophisticated equipment? En Route includes replicas of the tunnel boring machine and a scale model of what the new 96th Street station will look like. Underground tours of the site fill up on Saturdays but you can take a virtual tour of the 86th street cavern and tunnel at the exhibit. The Second Avenue Subway Community Information Center is located on 2nd Avenue between 84th and 85th Streets.